I joined last year, but didn't really participate. I was completely new to the read-a-thon scene and this was the first I attempted. Hoping, with a few under my belt now, to do better this year. This week I should be able to get some decent reading done. I merged the goal post and sign-up post into one post as it didn't make sense for me to make two back-to-back. I won't read all of these, I'm sure, but these are the main aims. 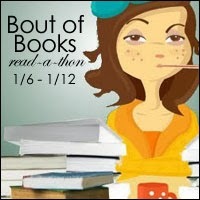 Books: Gone with the Wind - Finished last few hundred pages!